WACO, Texas (March 20, 2017) – The Texas Hunger Initiative (THI) at Baylor University has received a $3 million grant from the Walmart Foundation to continue its work to end hunger in Texas. With this grant, THI will build Hunger Free Coalitions across the state, continue child nutrition program outreach and conduct university-based research to evaluate and improve upon its work. The new funding will allow THI to go deeper in its current efforts as well as expand on projects working to find long-term, community-driven solutions to hunger and poverty. More than 4.5 million individuals in Texas are food insecure. THI’s innovative model addresses the hunger problem at all levels – local, state and federal – by organizing systems and helping people work together to create more efficient and effective programs and policies that reduce hunger in Texas. This model has proven to be successful for THI and its partners. Since 2009, 300,000 more students are eating breakfast at school every day, and 10 million more meals are served in school programs. In addition, there are 2,000 more summer meal sites in Texas that have served 21 million more meals each summer than compared with participation rates in 2009. In Waco, THI has partnered with organizations such as the McLennan County Hunger Coalition, Waco NAACP and Waco Regional Baptist Network, among others, to support child hunger programs and raise awareness about resources to address hunger in Waco and McLennan Country. During summer 2016, nine sponsors of the summer meals program in McLennan County operated 72 sites, which together served 147,456 lunches and a total of 226,146 meals, including breakfast and lunch. These increases mean that more children and families in local communities have access to nutritious meals. Along with its efforts to coordinate and support child nutrition programs, THI will be able to strengthen its efforts to build Hunger Free Communities across the state. These coalitions will bring together local individuals and organizations to foster collaboration, helping community members plan for and coordinate anti-hunger and anti-poverty efforts in their own cities and towns. 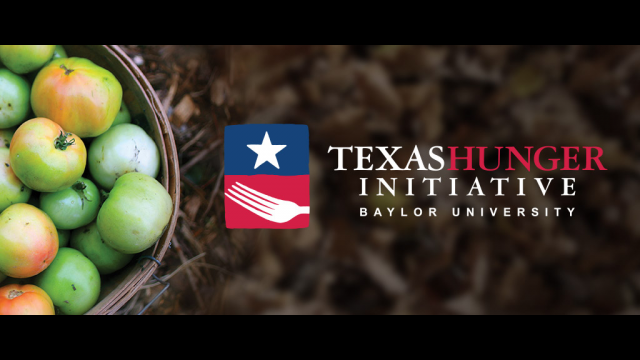 Baylor University’s Texas Hunger Initiative (THI) is a capacity-building, collaborative project dedicated to developing and implementing strategies to end hunger and reduce poverty through policy, education, research, community organizing and community development. THI convenes federal, state and local government stakeholders with nonprofits, faith communities and business leaders to create an efficient system of accountability that increases food security in Texas.